Adventures with Horse Trailer Toilets. One of our earliest questions with the Trailer project was how were we going to handle the “facilities.” You know, poop happens. Horses do it. Birds do it. And children of a certain age find the subject fascinating. Here’s my scoop on poop. 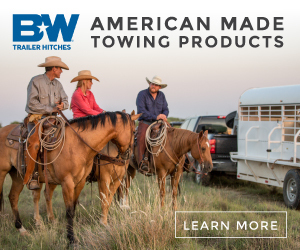 Most of the places where we trail ride and horse camp are devoid of any hookups, and many don’t have toilet facilities, sometimes when they do they aren’t something that you’d want to use. Although the Forest Service often refers to vault toilets as “Sweet Smelling Toilets” or SST’s. The first “S” is frequently not so sweet. Also, as dry campers, a huge concern is stretching our fresh water supply. 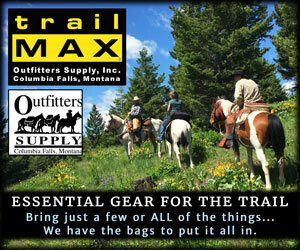 We want to stay at remote trailheads as long as possible, anything that helps with that is a plus. Reduce Water usage – Fresh water usually isn’t available when boondocking so we wanted to conserve as much as possible. Eliminate holding tanks – Forest Service roads in the west are notoriously rough. I’ve seen first-hand where holding tanks and sewage pipes have met rocks and left a calling card of green goo trailing behind. Avoid RV dumps – In the west, full service facilities are few and far between. On extended trips having to find an RV dump every few days seemed like a hassle. Cassette Toilet – Fills quickly – The horrors of dumping. 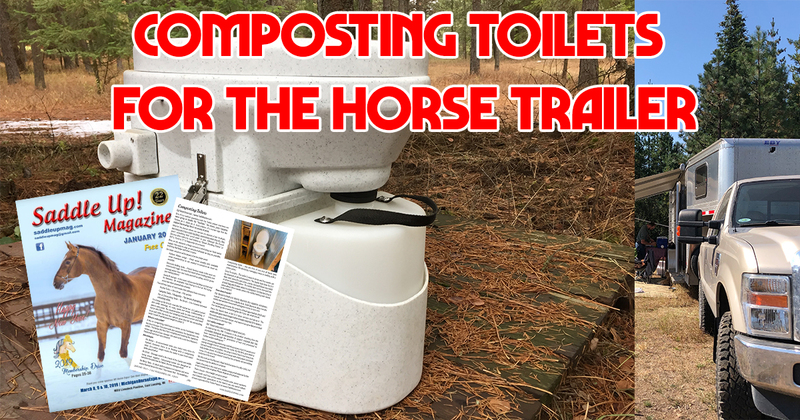 Dry or Composting Toilet – No Smell – 3 to 4 weeks between unloading solids. I’m cheap so the first try was the DIY bucket loo. A 5 gallon bucket and cedar shavings, it’s easy, quick and cheap. Unfortunately, it didn’t really work. The cassette toilet with its roller cart of sloshing horror also filled quickly and dumping it became a scene and smell from hell. With the first two options gone that left the composting toilet. I wish I had skipped straight to option 3. What is a dry toilet? 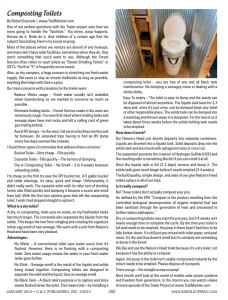 A dry, or composting, toilet uses no water, so my freshwater tanks last much longer. The commode also separates the liquids (the pee) from the solids (the poo). This keeps the two from mingling and creating the signature rotten egg smell of raw sewage. We went with a unit from Nature’s Head and have been very pleased. No Water – Conventional trailer toilets use water every time it’s flushed. However, there is no flushing with a composting toilet. Zero water usage means the water in your fresh water tanks goes further. No Stink – Sewage smell is the result of the liquids and solids being mixed together. Composting toilets are designed to separate the solid and the liquid, thus no sewage smell. No Black Tank – A black tank’s purpose is to capture and store waste flushed down the toilet. This means that – by installing a composting trailer toilet – you are free of any and all black tank maintenance. No dumping a sewagey mess or dealing with a stinky slinky. Easy To empty – The toilet is easy to dump and the waste can be disposed of almost anywhere. The liquids tank lasts for 2-3 days and, since it’s just urine, can be dumped down any toilet or other responsible place. The solids tank can be dumped into a trash bag and thrown away in a dumpster. For the two of us it takes about three weeks before the solids holding tank needs to be emptied. Our Nature’s Head unit diverts deposits into separate containers. Liquid deposits are diverted into a liquids tank. Solid deposits drop into a the solids tank and are mixed with sphagnum moss or coco coir. The separation prevents the creation of Hydrogen Sulfide (H2S) and the resulting odor is something like dirt if you can smell it at all. Once the liquids tank is full (2-3 days) remove and dump it. The solids tank goes much longer before it needs emptied (3-4 weeks). 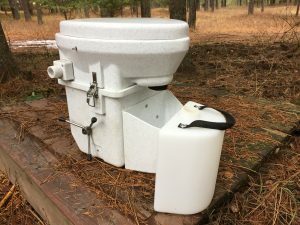 The build quality, simple design, and ease of use give Nature’s Head toilets a place in all of our trips. No! These toilets don’t actually compost your poo. 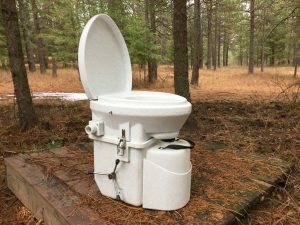 Dry or composting toilets may start the process, but 3-4 weeks isn’t nearly enough time to complete the cycle. By the time your toilet is full and needs to be emptied, the poop in there hasn’t had time to be fully broken down. It’s still just poo mixed with toilet paper, and peat moss. It’s dry and thus doesn’t smell but it’s certainly not something to dump in the forest. We like and use the Nature’s Head toilet because it’s a dry toilet, not because it has the ability to compost. Again, the poop in the toilet isn’t usable composted material by the time it needs to be emptied. Please dispose of it properly.